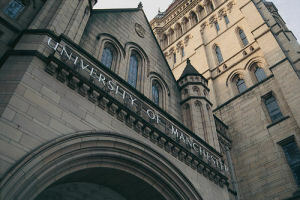 Welcome to UKCI 2011, the 11th Annual Workshop on Computational Intelligence, this year being hosted by the University of Manchester, in 7th - 9th September. UKCI is the premier UK event for presenting leading researches on all aspects of computational intelligence. One of the primary, but not exclusively, goal of UCKI workshop is to provide a forum for the academic community to share ideas concerning theoretical and practical aspects of computational intelligence techniques. The informal setting of the workshop is designed to encourage a lively atmosphere for discussing future research problems, making new contacts and forging collaborations. The workshop will include presentations of submitted papers and also keynote talks from eminent researchers in Computational Intelligence field. We have deliberately set this workshop as a low-cost event, so that young researchers in academia and industry may actively participate along with established workers in the field. The scope of this workshop can be found in Call for Papers and Introduction pages. UPDATE 28/08/2011: keynote speaker information and programme details are added, please check here and here. UPDATE 04/08/2011: accommodation information is added, please check here. UPDATE 19/07/2011: information about registration is updated, please check here. UPDATE 17/06/2011: the submission deadline has been extended from 20th June, 2011 to 30th June, 2011.